Have you ever asked questions such as, “How can a couple have a successful marriage? How can men and women communicate in a way that works? How do men and women use their differences to enhance their lives rather than drive each other crazy? How can a couple get good at making decisions together? How do you forgive someone who has hurt you? How can a man and a woman develop strong careers and stay in love? If you are interested in questions such as these, you will thoroughly enjoy Bill and Pam’s books and seminars. They have sought out the how-to’s of relationships through reading books, their own personal growth as a couple and through professional research and they have a unique ability to present the research in down to earth, everyday language. Through word pictures, practical exercises and strategic stories, they simplify relationship principles so the average person knows how to live them out. 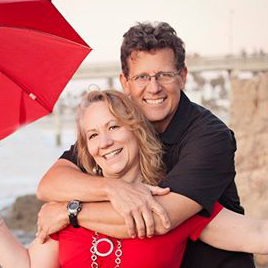 During their 25 years of experience in church ministry, Bill and Pam’s quest to discover “how” has motivated them to write books and speak at marriage conferences around the globe. They are the authors of the best selling book, Men are Like Waffles, Women are Like Spaghetti (Harvest House) along with its study guide. Their other marriage books include The Marriage Code; Red Hot Monogamy; The 10 Best Decisions a Couple Can Make; Why Men and Women Act the Way They Do; Love, Honor and Forgive; Marriage in the Whirlwind: Seven Skills for Couples Who Can’t Slow Down. They have also authored The 10 Best Decisions a Woman Can Make; The 10 Best Decisions a Man Can Make; The 10 Best Decisions Every Parent Can Make; Woman of Influence; Woman of Confidence; Fantastic After 40; Devotions for Women on the Go and Devotions for Men on the Go and Single Men are Like Waffles, Single Women are Like Spaghetti. Their books have been endorsed by John Trent, Jim and Sally Conway, Florence Littauer, Stuart and Jill Briscoe, Dave and Claudia Arp, Bunny Wilson, Fern Nichols and other leaders in the Christian community. Bill and Pam recently moved to their live-aboard boat in the Los Angeles area in order to help care for Bill’s aging parents. They are the parents of 3 accomplished sons, with 3 beautiful daughters-in-law and 4 beautiful grandchildren. Bill and Pam have been working with couples their entire adult life. To relax, Pam and Bill playing with their grandchildren, reading, and exercising together…especially when it consists of kayaking, paddle boarding or a long walk at the beach. Churches in America, Canada and Mexico including Saddleback Community Church, Shadow Mountain Community Church, Elmbrook Church, Emmanuel Faith Community Church, Perimeter Baptist Church, Salem Baptist Church, Crossings Church and hundreds of others. 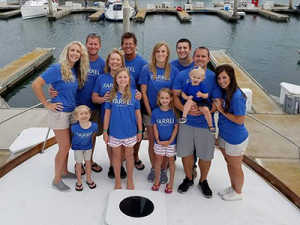 The Farrels have a regular newspaper column on relationships appearing in several cities and their writing has been published in numerous magazines including Just Between Us, Discipleship Journal, Crosswalk.com and several Focus on the Family publications. They are regular guests on several radio shows including Focus on the Family, The Frank Pastore Show and Janet Parshall’s America.